A piece of the modular pie. 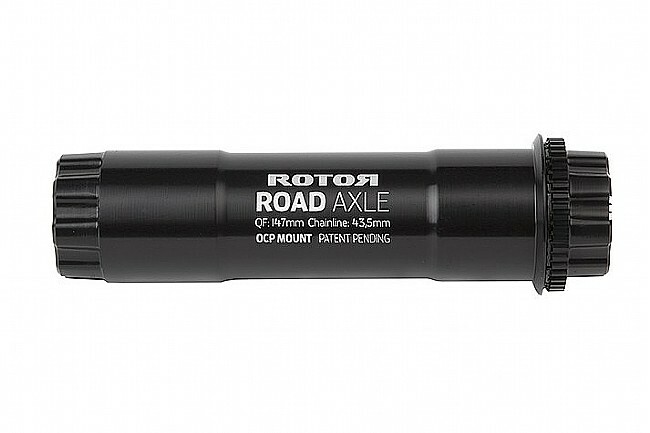 Marking their lightest crankset to date, the Aldhu is Rotor's fully-modular premium crankset. Offering complete control over each individual component, the Aldhu Spindle is crucial center-piece of it all. 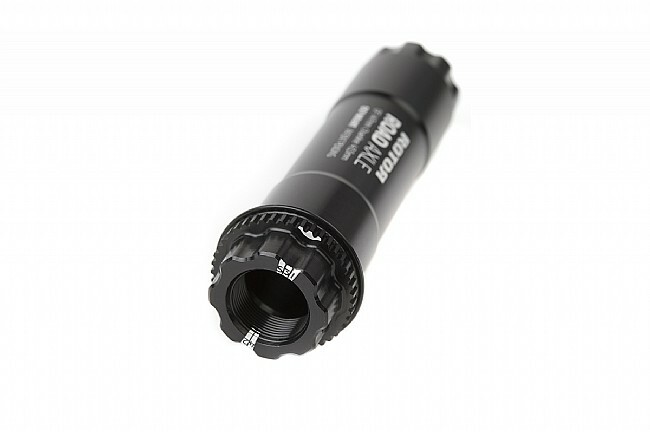 Featuring a cleverly designed spline interface when mounted to the spider or Direct Mount chainrings delivers a robust yet smooth engagement allowing you to maximise the efficiency in transmission of power in your pedal rotation. 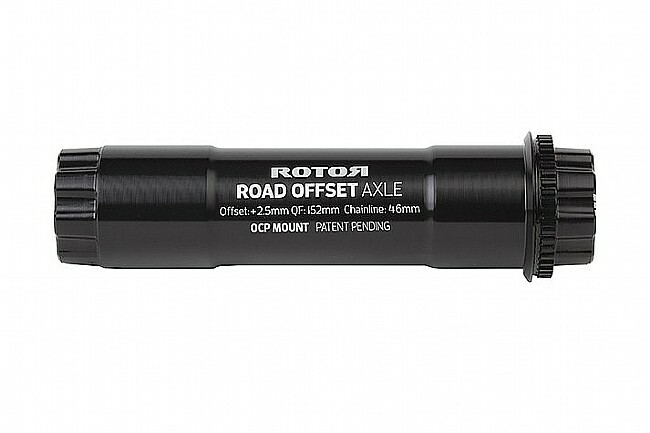 When combined with the new modular Aldhu cranks and Q Rings oval chainrings or round chainrings, this axle features refined OCP Mount technology so you can now adjust your optimal chainring position by precise one degree increments. Modular crankset allows for complete control over each component. Standard Road, Offset Road, and Track versions available. Direct-Mount with Aldhu 3D+ spider and crank arms. Claimed weight: 96 grams (Standard), 99 grams (Offset).